The 135mm fan of the RM650 has been rebranded with Corsair’s own logo. 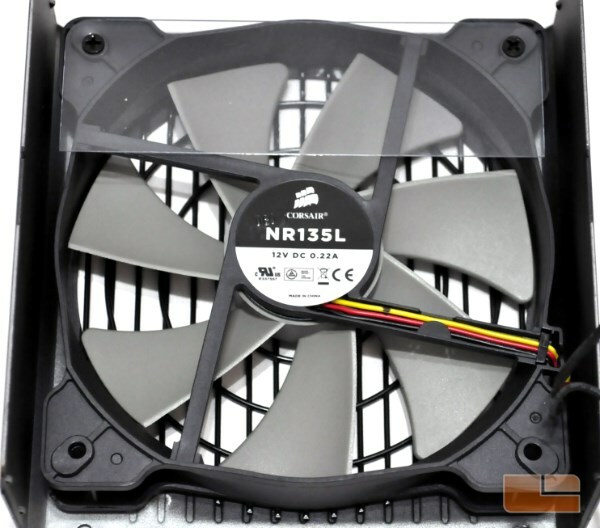 The part number is NR135L and little we could find about the OEM of the fan. However, we could recognize that it has a fluid dynamic bearing and a maximum speed of about 1800RPM. The design of the fan is supposed to be optimized in order to reduce noise, even if the fan will not even come on if the load will not surpass about 35% of the unit’s capacity. 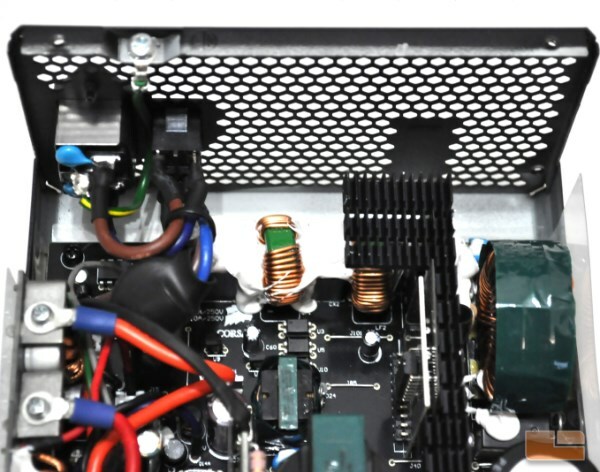 The OEM of the RM650 is easily recognizable, even if only by the type of the main transformer installed. Channel-Well Tech (CWT) is the company behind the RM650, an OEM sharing a long history with Corsair as they have been supplying nearly half of Corsair’s power-related products. The build quality is well above average and, although it is aesthetically displeasing, a lot of glue has been used in order to enhance the mechanical cohesion of the unit. The filtering stage of the RM650 is very good, starting with two Y capacitors at the back of the AC receptacle and continuing on the main PCB with two more Y capacitors, two X capacitors, two filtering chokes and one surge suppressing MOV. 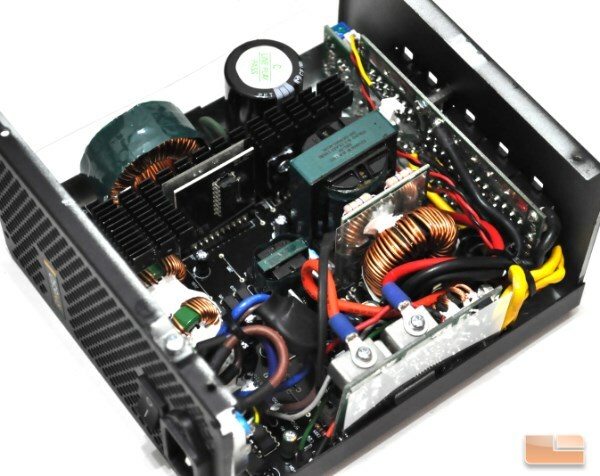 There is one main heatsink which holds the primary bridge rectifier, the active components of the APFC circuit and the primary inversion stage transistors of the power supply. 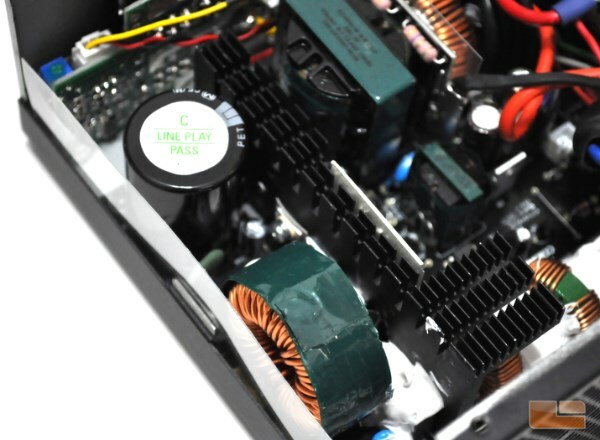 The passive APFC components are a single Matsushita 400 V / 470 uF capacitor and a very large coil, wrapped in green tape, with the active components being two transistors and a diode. Despite the 80Plus Gold certification, CWT managed to achieve it with a half-bridge topology. 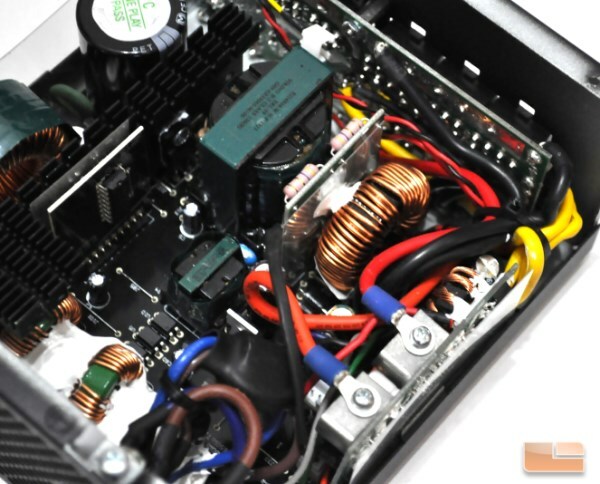 This power supply generates only a single 12 V line and the minor 3.3 V / 5 V lines are being derived by DC to DC converters, which have been placed on the vertical PCB near the edge of the unit. The small transformer is dedicated to the 5VSB voltage line. Most of the secondary side capacitors have been made by CapXon, with very few supplied by Nippon Chemi-Con. CapXon is a manufacturer considered to be mediocre by enthusiasts, yet Corsair apparently is placing a lot of faith on them, as the RM650 is covered by a 5 year warranty.